Keeps track of certain stats, such as the elapsed time for your current run and such. 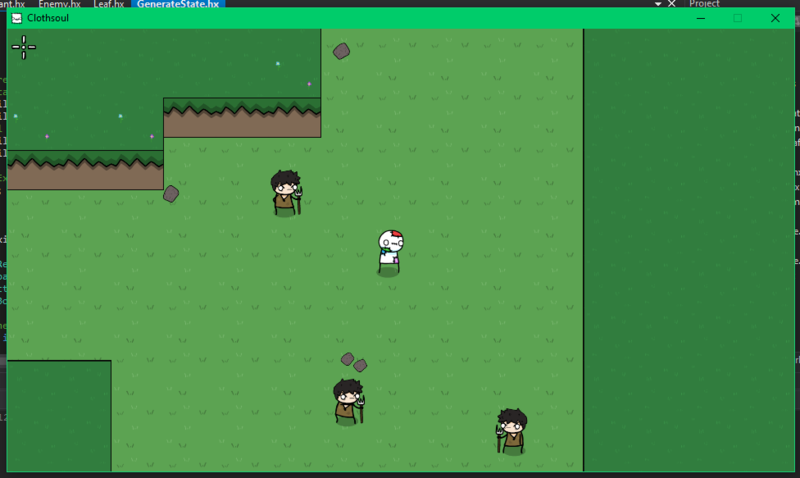 Player movement and some combat mechanics. Title/Pause screen with an option, stats, and credits menu. I plan on adding a HUD next, and after that buddies. (Companions/Familiars) Eventually I'll get around to making it so level exits actually do something, because right now they only allow you to venture offscreen. Anyways, here's some screenshots rather than text. The title menu picks from a random array of characters to show. 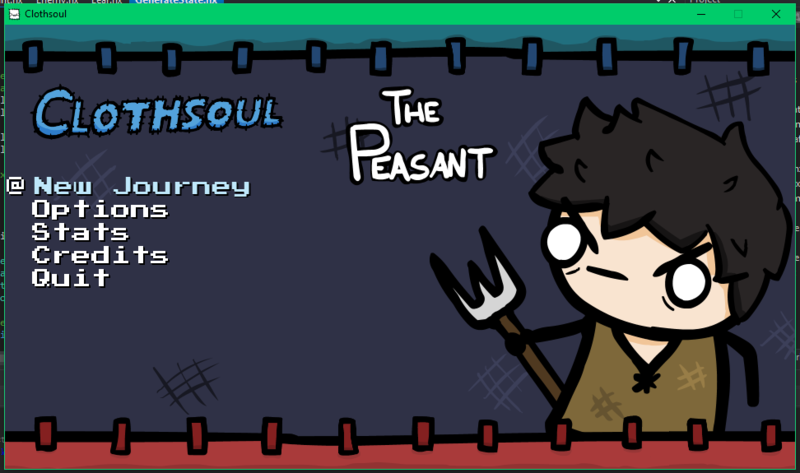 Currently there's only the main character and the Peasant enemy. 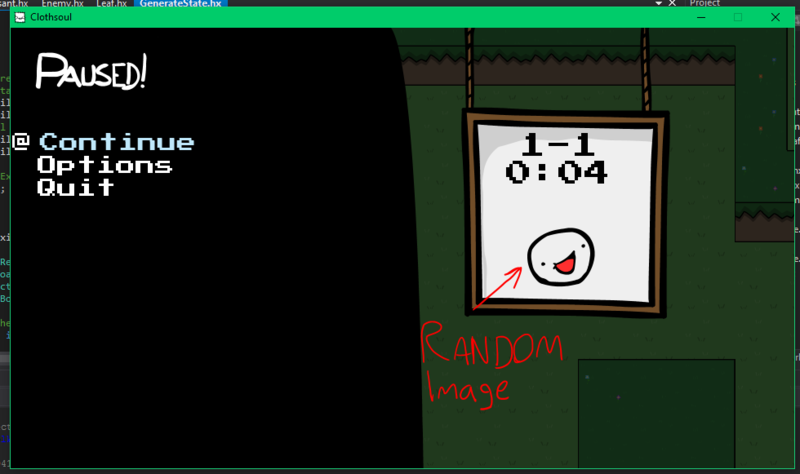 The pause menu also picks from a random array of images to show under the level/time. 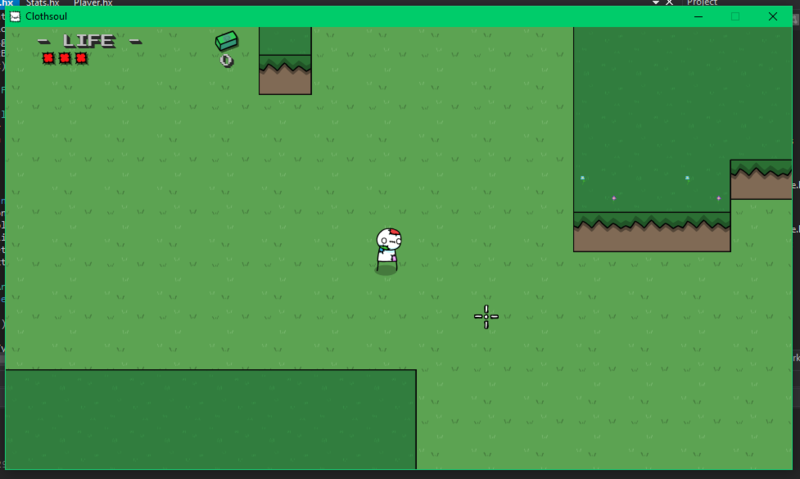 Here's the player standing next to a level exit. Alright so I finished the HUD. 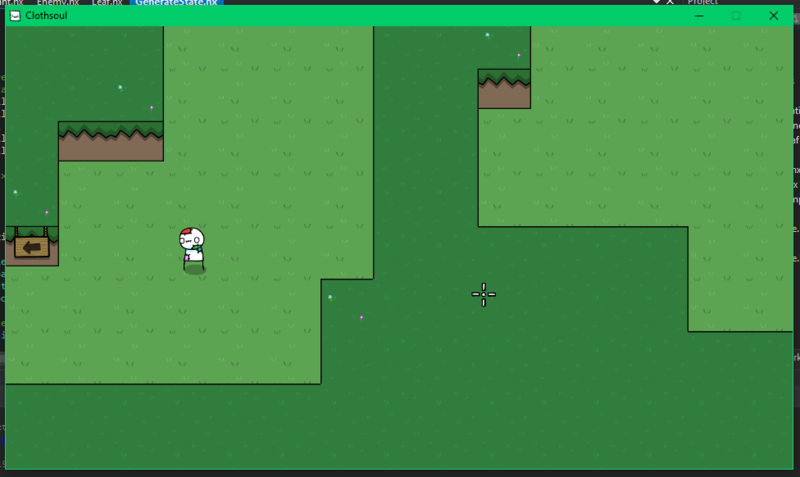 I'm thinking of adding an item box, if there's consumable items or something. Anyways, the player can have a maximum of 12 patches, which I'll show. There's also a currency counter, which is represented by a wad of cash. Anyways, here you go. Oh right, added this little bit too. I'll keep an eye on this, thanks for sharing! The gamepad support is already all set up, though it's not extremely smooth. I'm not really sure why I even bothered to support gamepad since I'm aiming specifically for a keyboard/mouse setup.